The Symbolic Tokyo designer wearing a John Lawrence Sullivan outfit with pointy zipper boots and colorful coin purse keychain. Japanese web designer and Japanese fashion designer on the street in Harajuku, both wearing fashion by Billion Japan. 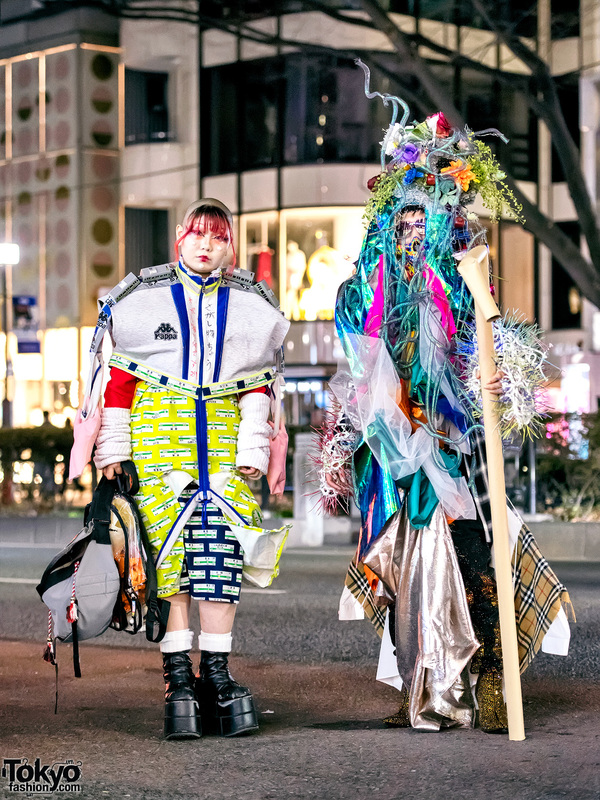 Two Japanese high school students in their own extreme avant-garde handmade and remake fashion on the street in Harajuku. Harajuku guy wearing a black blazer over a black top, denim, Nike sneakers, sunglasses, and Chrome Hearts jewelry. 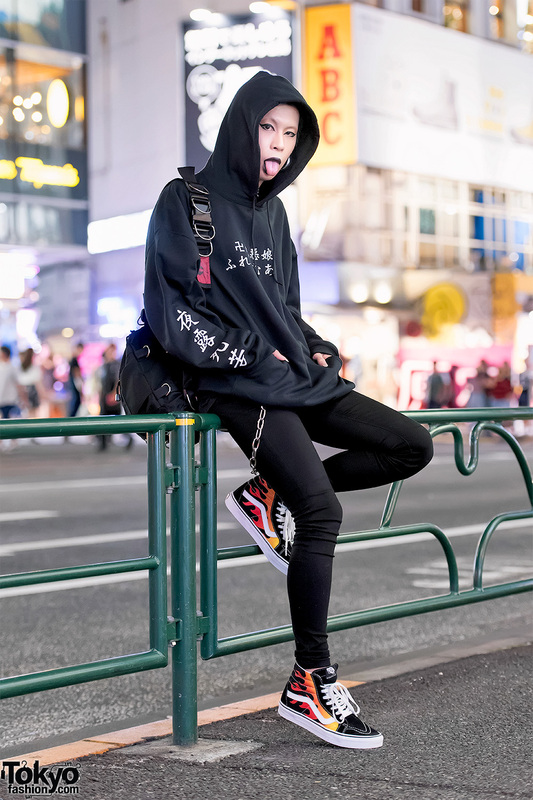 Japanese fashion designer on the street in Harajuku wearing a dark look with kanji print hoodie, black skinny jeans, flame print high top sneakers, and an o-ring bag. 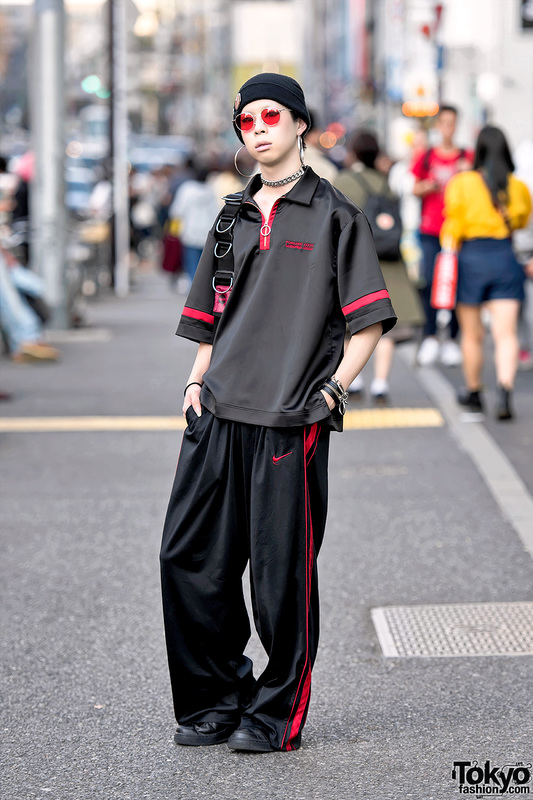 Harajuku guy wearing Ambush sunglasses, Another Youth top, striped pants, Nike sneakers and Elephant TRIBAL Fabrics bag.